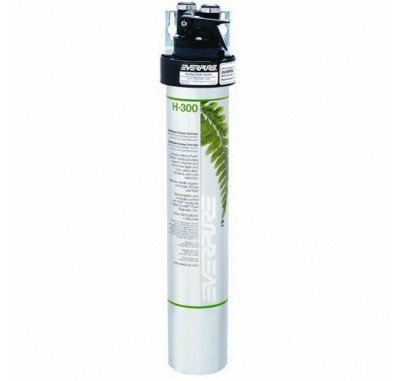 The Everpure H-200 water filter system finely polishes treated water to premium quality for drinking and cooking. Reduces chlorine taste and odor and chloramines. Reduces dirt, rust, and other particulates such as oxidized iron, manganese and sulfides. Reduces parasitic protozoan cysts such as Giardia, Entamoeba, Cryptosporidium. The Everpure H-300 water filters control even extreme levels of common off tastes and odors, including those which are earthy, moldy and fishy. Reduces lead to below the Federal Action Level of 15 ppb. Effectively reduces Volatile Organic Chemicals (VOCs), including Trihalomethanes (THMs). KDF Media reduces limescale buildup in water-using appliances as tested by KDF Fluid Treatment, Inc. The Everpure H300 filter system KDF Media provides bacteriostatic control as tested by KDF Fluid Treatment, Inc. Why are the Everpure H-300 Water Systems marked 'Not for residential sale in the state of California'? Because they have not been submitted to California for testing. This is an expensive testing process that the manufacturer has chosen not to undergo at this time in order to keep the cost of the product down. 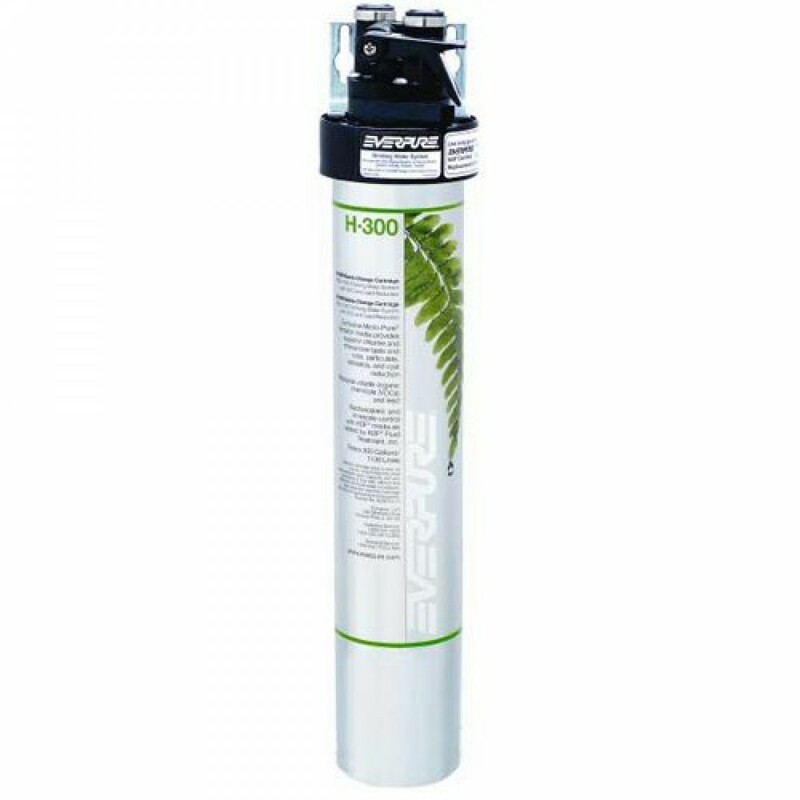 The Everpure H-300 Water Filtration System uses the H-300 EV9270-72 replacement cartridge. For optimum performance, cartridge replacement is required once a year, or sooner if flow becomes too slow for convenience, or if the unit's rated capacity is reached.